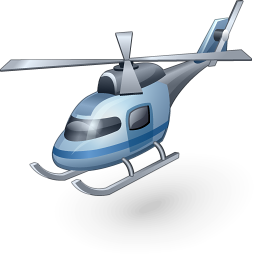 With more than 10 years of experience, this helicopter tour company is looking to hire an experienced R-44 (Robinson Model 44) tour Pilot in the Miami area. We are dedicated to offering our employees a safe, challenging and professional working environment with a competitive wage within the industry. Helicopter Tour Company in Miami offers one of the most desired and exiting jobs in town. Applicants must posses the ability to assist with physical tasks, such as carrying, lifting and pushing weights up to 80 pounds. Must possess and maintain a valid Federal Aviation Administration (FAA) Commercial Certificate with rotor craft helicopter. Minimum 500 hours of flight time. Bilingual, Spanish is a plus! If you would like to fly with a great company and a great team, we invite you to email your resume at No phone calls, please.